My name is Bruce. Wizbang is one of my boats. Paul Johnson design, We begin with this , 3 sheets of paper. Last edited by wizbang 13; 10-31-2015 at 07:18 AM. 1983,Paul Johnson is a friend of mine, I had helped him to build a sister ship in St Barts a few years earlier,so I knew what to do and what not to do. A model of the boat. Last edited by wizbang 13; 11-09-2013 at 05:58 PM. 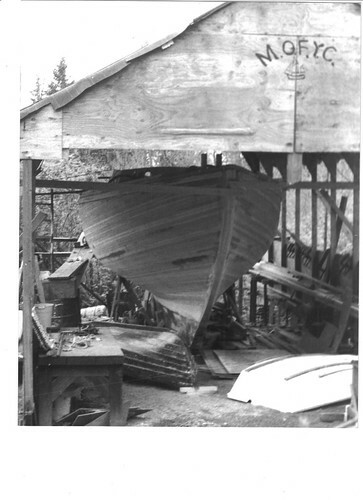 Sept 01.1983, I started lofting, then built a mold for the cement/wheel weight ballast keel. Last edited by wizbang 13; 11-09-2013 at 05:59 PM. PVC pipe is where the keel bolts will go. The pvc stays in the mold. Re bar near the edge, running fore n aft. 10,000 lbs., 27, 5 gal buckets of lead wheel weights. I had a borrowed antique cement mixer, we made one "batch" of mortar and hand puttied it up the side wall around the re bar, then made a soupy mix with the wheel weights. and poured the soupy/heavy mix in the middle. 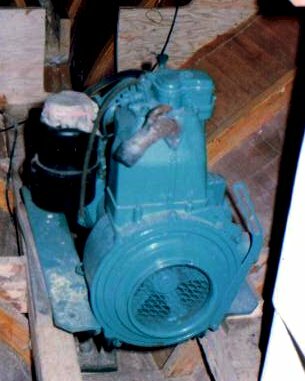 Repeat over and over , banging the mold with mallets, ramming sticks in and out and praying that the smoking old mixer would keep running. 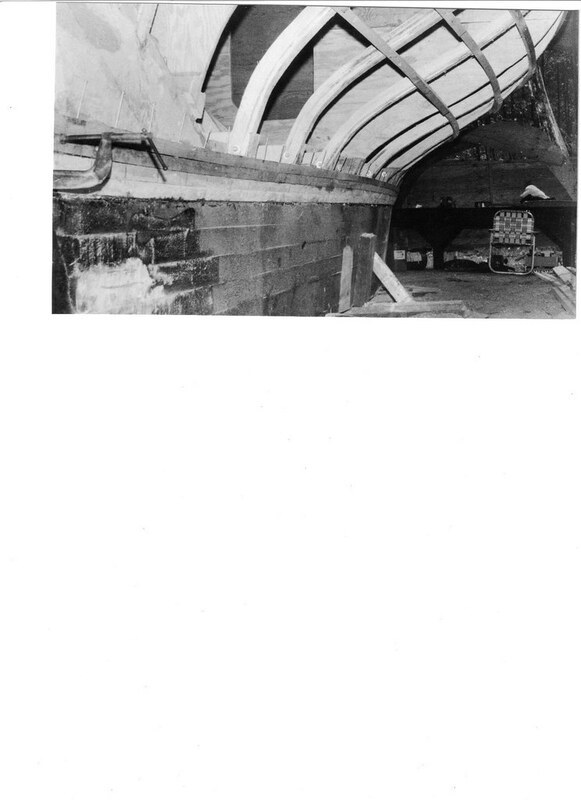 The cement ballast keel was covered in old rags and kept wet for weeks while I went to work back in the other shed, the lofting floor, working on station molds, deck beams, and what not. Last edited by wizbang 13; 11-12-2011 at 10:34 AM. 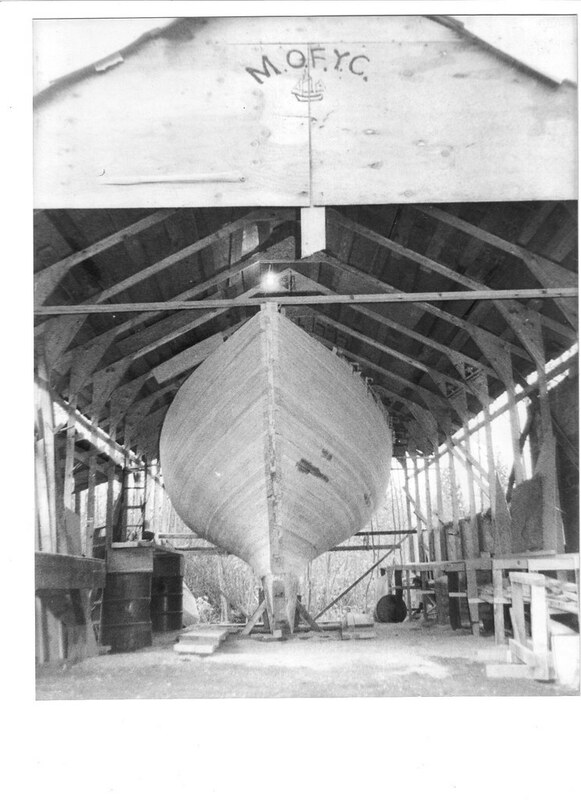 Wood keel on top of already poured ballast keel. 2by6es of alaska yellow. Rare use of a hand tool here, lil' adz. Galv. Screwed,glued,and bolted.First plank is on the bottom of wood keel. No rabbets.The whole boat got System 3 resin but I used WEST 403 microfibers. 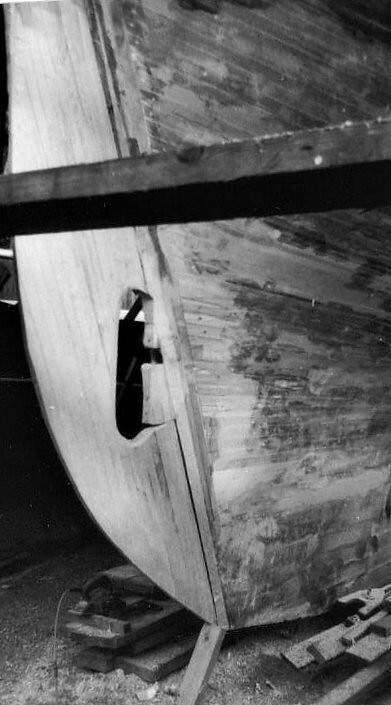 The laminated wood keel is transverse (sideways) bolted. Last edited by wizbang 13; 11-16-2011 at 05:59 AM. Stem , stern and knees are triple sawn and glued. 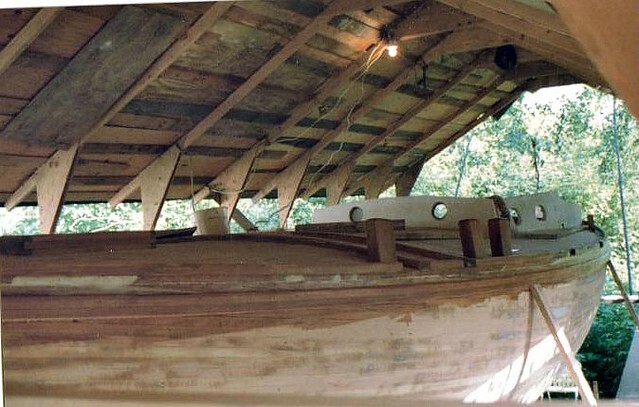 the floors are bolted and glued to the wood keel. The keel bolts will pass BETWEEN the floors, not through them.Transverse half inch bolts pass sideways every 2 feet,buried in epoxy. Last edited by wizbang 13; 11-09-2013 at 06:00 PM. 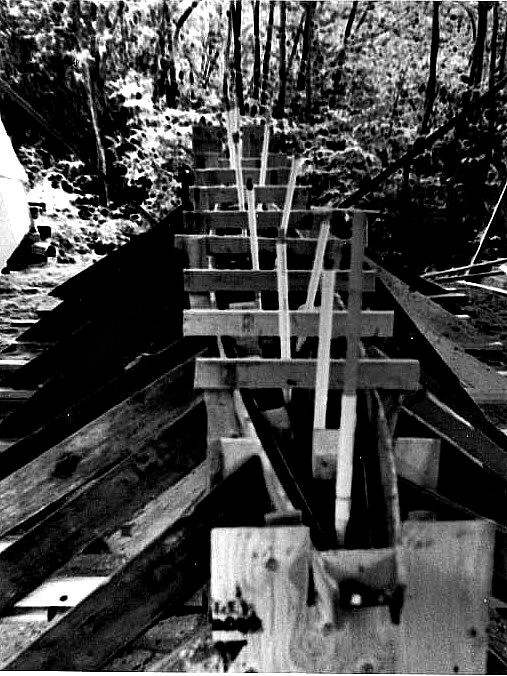 It took 5 days to frame the boat, 7 lams of 3/8"Yellow cedar to make2"by3" frames on 2'centers. 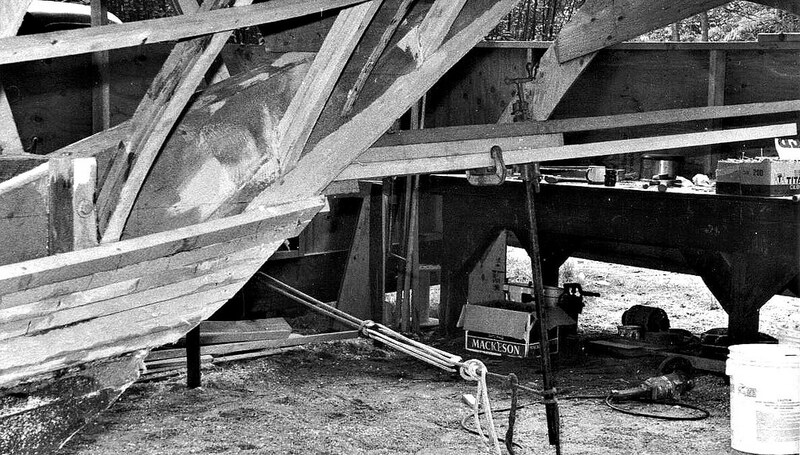 Frames were laminated in place,so no beveling,no wasted time.I remember ripping 2" stock until the table saw tripped, then glueing the lams in place,then re setting the saw and ripping s'more.First thing in the morning I would grind yesterdays work.In 6 weeks I had the deck beams on and was ready to plank. Last edited by wizbang 13; 10-31-2015 at 07:21 AM. Plywood station molds were set up, then ribbands, the frames were built on the ribbands.Above you see 3 planks, the 4th with the nails standing ,ready to be hammered down.I clamped the plank in place, drilled the holes, made a strike up mark, lifted the plank off,put on the mashed potato (403) and set the plank down, hammered the nails but did not set them or even wail on them. The planking at this point is the end of my 1000BF of Alaskan Yellow Cedar. 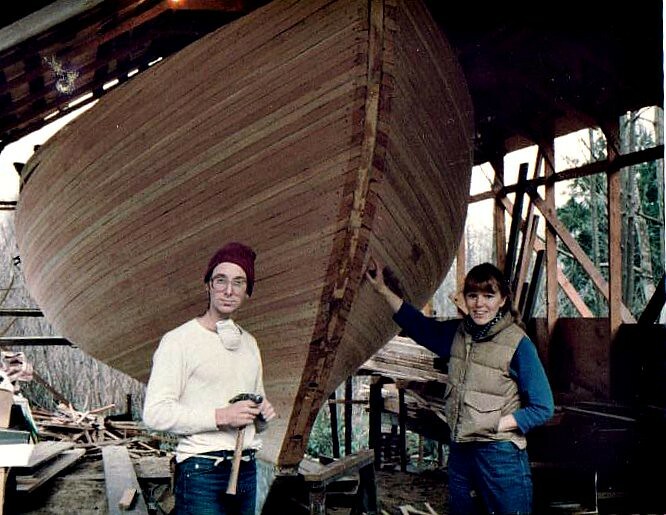 I figured I would put the boat to bed for the winter and go back to work so I could buy some more 'spensive cedar, but I started to notice that the fir planking I had bought from the local lumber yard for ribbands was looking better and better to my eyes! Well, this was 1983, and the yards are overflowing with Mt St Helens fir. For $600 I bought enough wood to plank the hull and decks! It cost more than that the last time I painted her. I ran 2by 4's through the table saw, ripped up the glue faces with a hand saw and put them on the boat. Only about 3 planks needed beveling.No thickness planing , no bead n cove. Last edited by wizbang 13; 11-09-2013 at 06:01 PM. Onward,I am putting on 5 planks per day. In the AM I grind, rip and scarph. I drink a quart of black cold coffee for lunch. All this is in my back yard,working alone. That old Milwaukee was a beast..but the Mackeson stout gave me super power. Last edited by wizbang 13; 06-24-2012 at 08:50 AM. 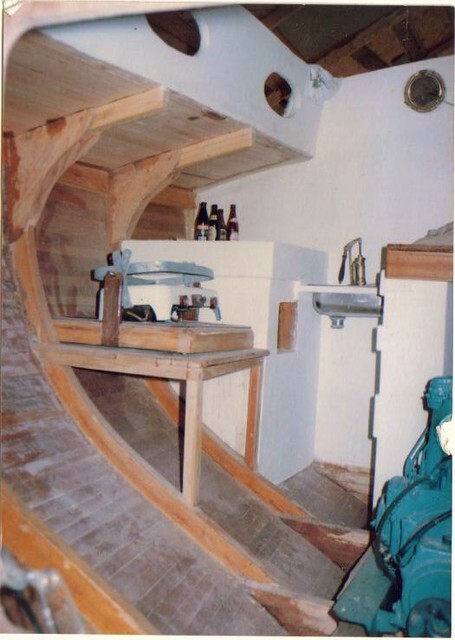 Above is the "plank twister",pipe clamp with a block n tackle for twisting 3 planks . You can see the nailing pattern. 4" galv box nails (koreas best!) Planks run out,again, no rabbetting. The plank ends will be capped.I used 2 planks of oak, but they went bad. Replaced the stem cap with 6 thin layers of angelique, hard to bend but it is what was available in the Islands 10 years later. No neighbors back then, (it is all developed now) lots of loud ,obnoxious music,lots of beer ,well,stout. Last edited by wizbang 13; 11-21-2011 at 08:57 PM. About 11 weeks from the start of lofting. Last edited by wizbang 13; 11-16-2011 at 06:01 AM. Thanksgiving Day,3 months after I started lofting,Whiskey plank. And I have kept up with grinding/fairing. Last edited by wizbang 13; 06-11-2010 at 07:47 PM. I love to see a dedicated effort, someone who knows what he's after and goes there in a straight line. no dallying around. getting stuck in. Bravo. Wow! It took me 2 years to get to this point on a boat two-thirds the size. Looking great! Brings back fond memories. Keep those pictures coming. I'm glued to this channel now, very cool. 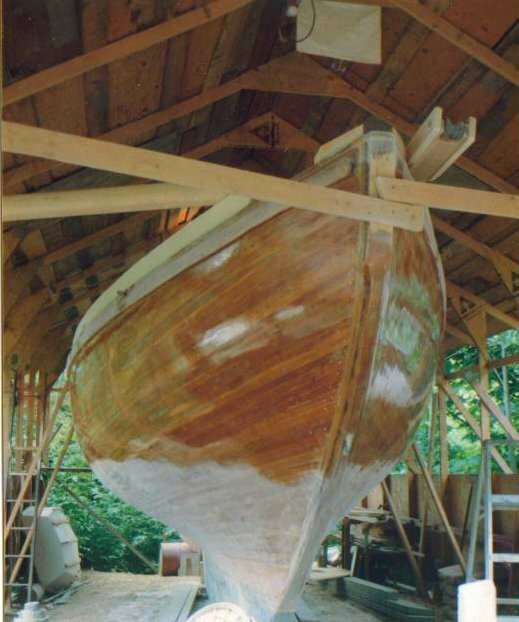 I wish I could dedicate that kind of time to my backyard ketch. but for me, it works out 'cause I need time to figure out 'whats next' Looks beautiful. "One can say with certainty that he is not with us at present. It is worth adding, however, that he himself did not always understand what time ought to be considered the present." - Laurus, Eugene Vodolazkin. Winter arrives,I'm broke but psyched. Rig,,,, who needs money for a rig? Not me. Got a nice 2nd growth fir 50 feet away from the boat.27" Dia,140 growth rings. Rip it into a 10" square with the chainsaw,and start chopping.I worked on this for a week. Dragged it out with the truck and covered it with ply untill the next summer, when I gave it 5 gallons of poison. 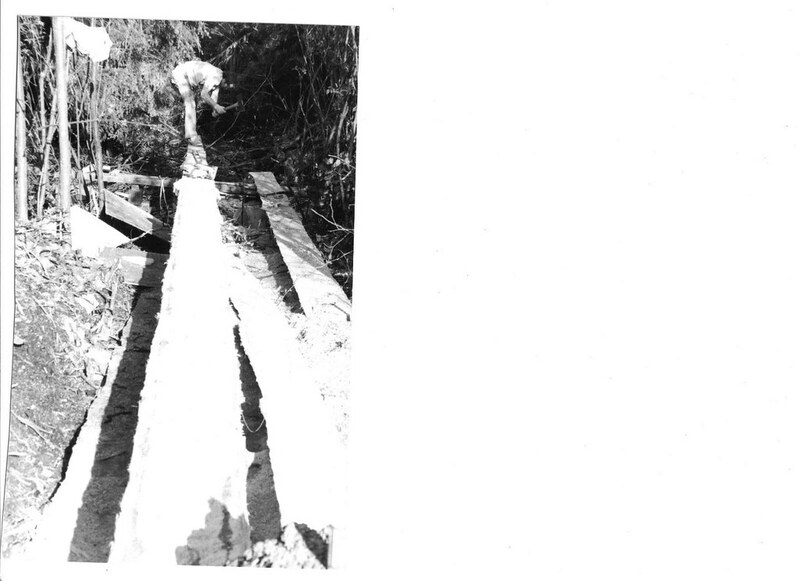 I bored an inch n a half hole straight down from the truck to act as a reservoir for poison for later.This was an 8" dia mast for a 30'wl boat!I lost that double bit axe, stinker is still out in the woods.30 years later , the mast has never been out of the boat . that bluenose dime thing under the heel really works! I did get a spot of rot at a sideways check, but I repaired that from a bosun chair. Last edited by wizbang 13; 11-09-2013 at 06:04 PM. Mizzen mast . Meanwhile, hand stitching of viva tex sails. 80 hours for a 250sq ft main. Mizzen and staysl also hand stitched. Still have the lofting floor in another shed converted to a funky/functional sail loft.Those off cuts became my second rubrail , still on in 2013. Last edited by wizbang 13; 11-09-2013 at 06:05 PM. Thanks for the inspiration. Much hard work and resolve. May I guess what MOFYC means? And what's with the cold black coffee? Yuk. Last edited by wizbang 13; 11-21-2011 at 09:03 PM. Fixing up old relics for a few bucks. Too bad I have a hat on. I had hair then.29 years old. Last edited by wizbang 13; 10-12-2013 at 08:52 PM. Gaffs and booms. Tee spars. Sitka spruce. Last edited by wizbang 13; 11-21-2011 at 09:08 PM. Decks are strip planked too. I put them on dry and later ran a kerf down the seams 1/3 plank depth of 1". Put glue in the kerf. I was very confident ,maybe overly so, of what the epoxy could do. 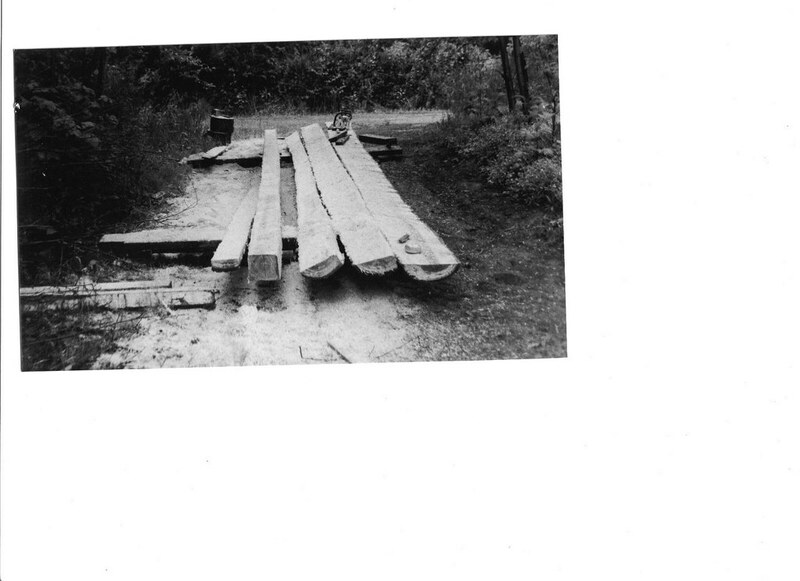 Here are the West Indian influenced "top timbers" ,or dead eye bottoms. I had been cruising engineless and singlehanded in the Caribbean for 6 years before all this. Last edited by wizbang 13; 11-16-2011 at 08:31 AM. Excellent! Thanks for digging up those pictures and taking the time to post them. Could you give some of the vital specs for her? sparred length, beam, depth, displacement, sail area(s), ballast %.... ? What was the previous engineless vessel is the Caribbean? 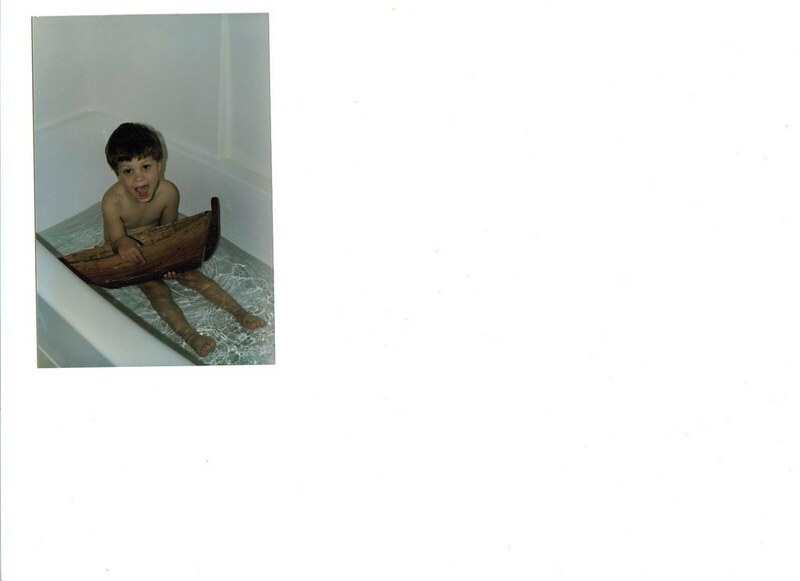 The boat in this pic is my Seabird Yawl , before I wrecked her. 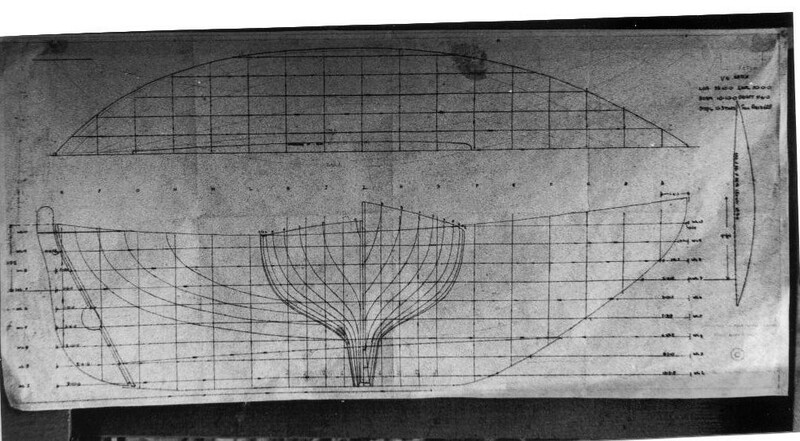 The name of the design of the boat being built in this thread is "Venus 1V". 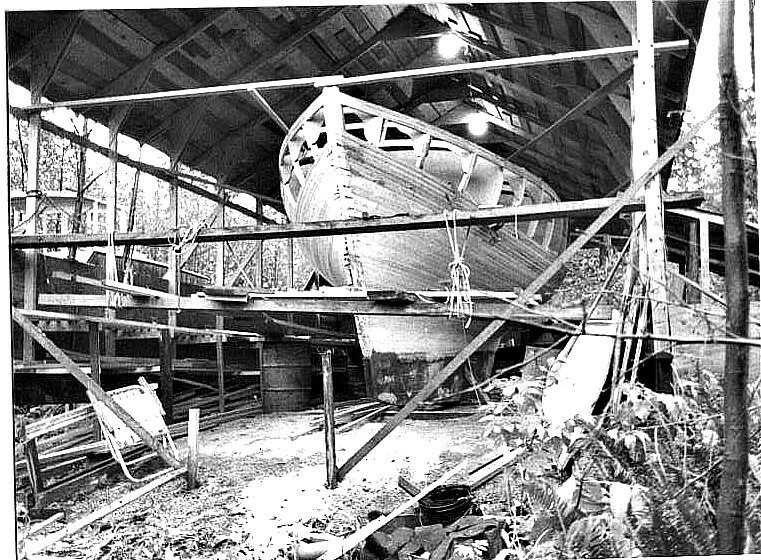 34'on deck, 11'beam,draft is 6' but she runs aground in6 1/2! 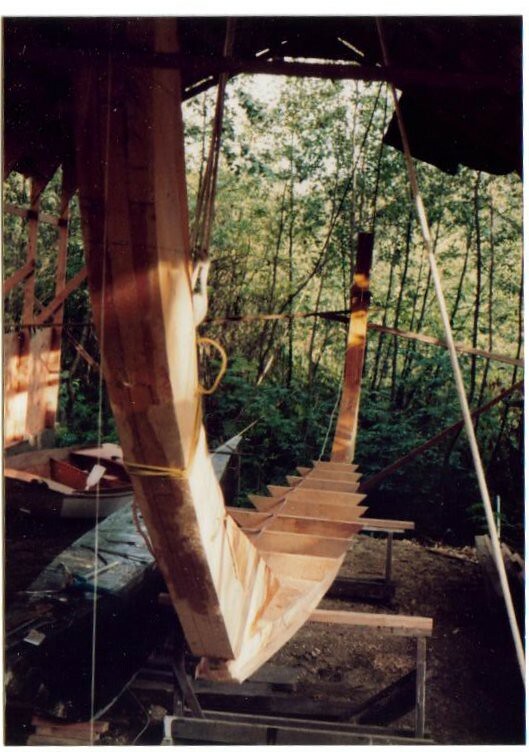 !Design displacement is 11.3 tons, but I had lofted the boat for 1 1/4 planks and built it with 1 1/2" planking. This makes her float a bit higher, so more ballast. Over time, the DWL has gone way down, and recently has come back up. 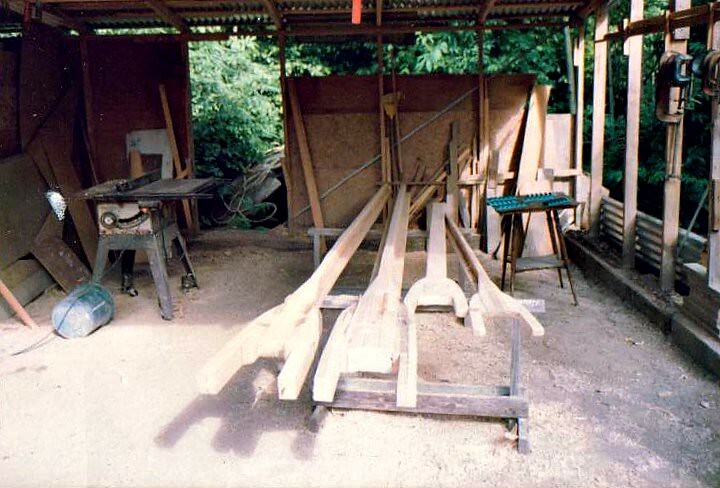 Bowsprit is 6 or7 feet and for many years she carried a 6' Jibboom which stuck out thirteen feet.. I only took that off this year. Other than that, the only time it came off was for haul out and 3 trips through the Panama Canal. Main mast is43'by8 1/2 inches. The mast weighs a thousand pounds. second growth fir is f#####g heavy!! 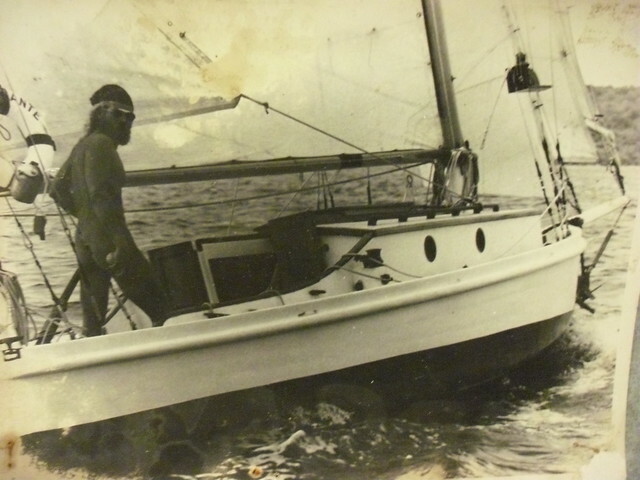 My first boat was a Seabird Yawl , (pictured),which I put on the rocks when I was 22. 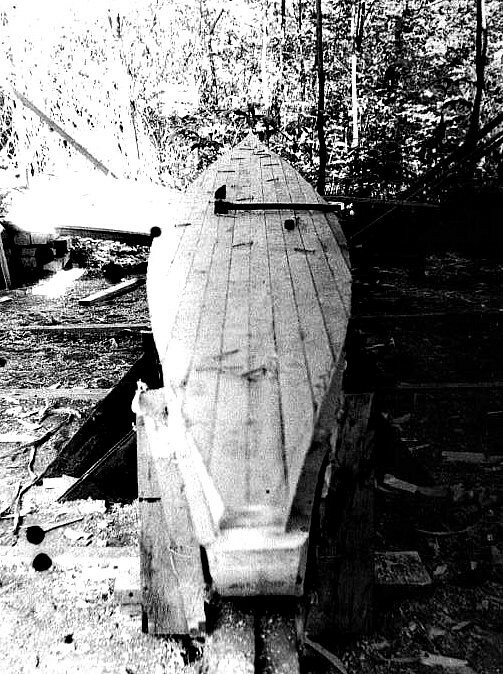 That is her here .Then I bought a derelict Antigua sloop ,21', and started down this boat building path. Last edited by wizbang 13; 11-09-2013 at 06:08 PM. I still have that stove as a back up. Over the years I had 2 different kero stoves with ovens. I no longer bake, and we are back to using (2011) a 2 burner primus. Last edited by wizbang 13; 11-12-2011 at 10:49 AM. 16hp Ducati Diesel. air cooled. 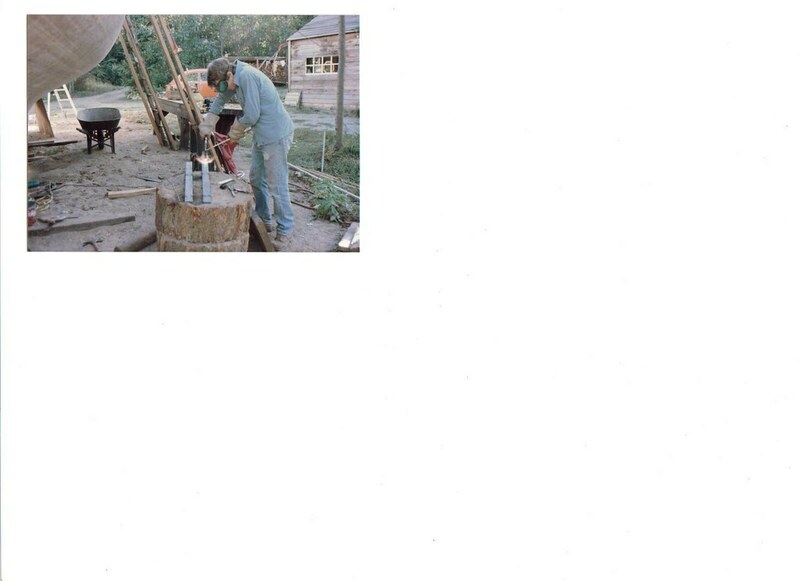 This was a great engine (for a young person) Started with a rope, no starter or alternater.Ran 5 hours on 1 gallon. My wife could never start it ,so the boat was in a transition of still being engineless.Took a few minutes to start with all the prepping.Dry exhaust.Kept it until1994. I had an M -20 for 10 years, now (2011) I have a 40hp Volvo. Last edited by wizbang 13; 11-12-2011 at 10:50 AM. What are the areas for her suit? Do you have multiple topsails for her? How much ballast ended up in her keel? Last edited by bott; 06-11-2010 at 01:25 PM. Main is250sq',mizzen, staysl and top are all close to 100.Jib, 75-150. Flying jib was a tall, lightweight blade 125 sq'.With mizzen stay.sl she could go 850 sq ' .But eventually I came to see she did not need more sail, she needed more wind!! Ballast keel is 10,000 lbs Internal ballast is 20% more ,to plan. When new I carried a few "trick/stick" topsls, but when I took her to sea, I went to a safer top,no sticks. Last edited by wizbang 13; 06-12-2010 at 07:33 PM. I was NOT tempted to keep her bright. A buddy came by about here and said' I bet it will hurt you when you drill the first hole in her" , I said "no, but it will hurt the drill bit". The nailing pattern put about 7000 vertical nails in her. She is steel re enforced. Last edited by wizbang 13; 11-21-2011 at 09:18 PM. Last edited by wizbang 13; 10-31-2015 at 07:27 AM. mild steel , welded and sent out to be galvanized . These rudder fittings are still in decent shape as of 2013. Last edited by wizbang 13; 09-21-2013 at 01:28 AM.